is junior consultant at SBA Research. 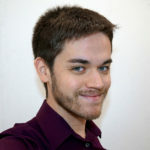 His research focuses on TLS, online privacy and Tor as well as application and mobile security. Currently his main activities concentrate on penetration testing. Michael received a bachelor’s degree in “Software & Information Engineering” and is currently working towards a master’s degree in “Software Engineering and Internet Computing” at the TU Wien.